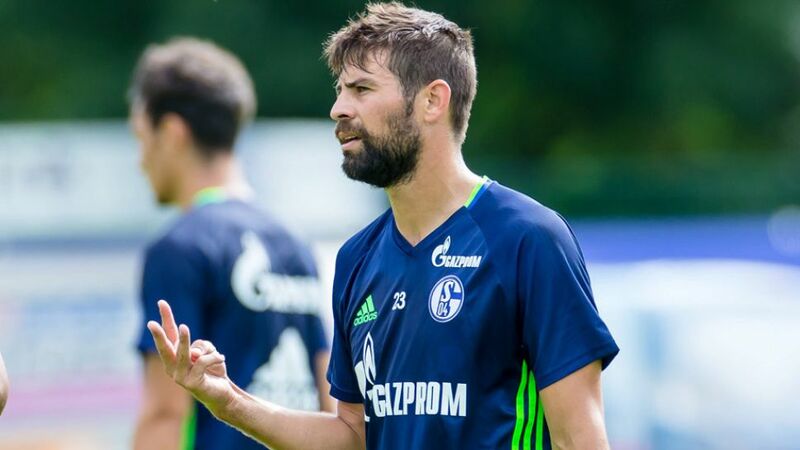 New Schalke signing Coke faces a spell on the sidelines after suffering a knee ligament injury. FC Schalke 04 have been dealt a punishing body blow ahead of the coming campaign with new signing Coke sustaining a knee ligament injury. Sign up for official Bundesliga Fantasy NOW! The summer arrival from FC Sevilla faces a potential six-month spell on the sidelines after suffering damage to his right knee in Thursday’s 2-1 win over Italian side FC Bologna. "At the latest, he'll be back for the Rückrunde," sporting director Christian Heidel is reported as saying by German media. "It depends on whether or not he requires an operation." The 29-year-old, who has penned a three-year deal in Gelsenkirchen, felt pain in his right knee following a tackle during his 45-minute appearance in the friendly encounter. A decision on whether the Spaniard needs to go under the surgeon's knife will be made when the squad returns to Gelsenkirchen on Monday. Schalke are due to start their Bundesliga campaign at Eintracht Frankfurt on 27 August.